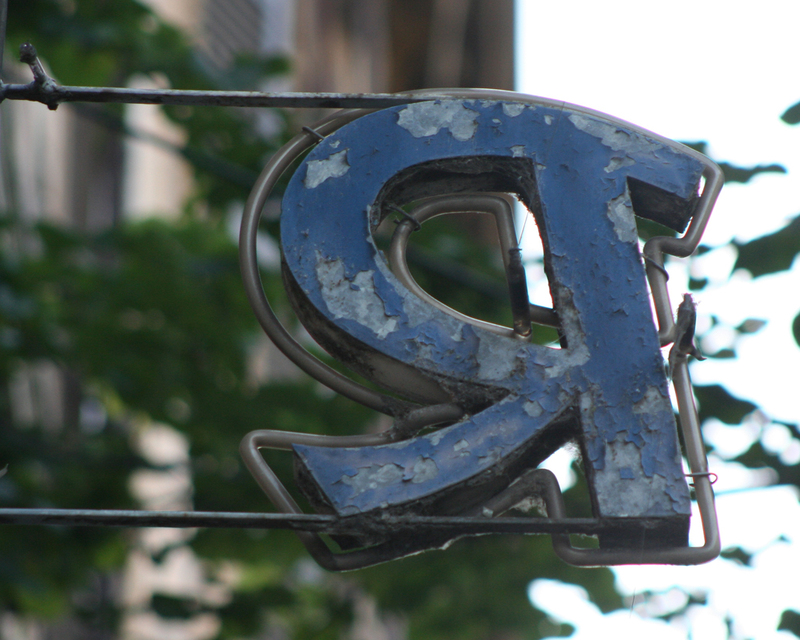 This R is from the sign for Il Grottino, a pizzeria in the Testaccio neighborhood of Rome. It is one of the best pizzerias for eating Roman-style pizza, but hard to ﬁnd despite being on the busy via Marmorata. Its sign is discreet, faces only one way (towards the Tiber), is often obscured by trees—and only says “PIZZERIA”. Il Grottino was established in the 1930s but the sign is most likely from the 1950s. It is typical of most Italian neon signs in its manner of construction: individual solid letters bordered by neon tubing hung vertically from thin metal rods. This is very different from American neon signs which are often two-sided or even triangular metal panels with the neon tubing frequently placed over painted letters. Blasi neon sign (Rome). Photograph by Paul Shaw 2007. 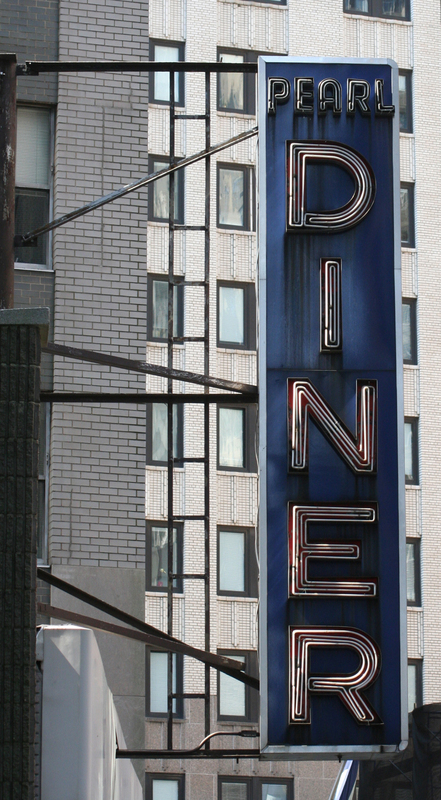 Neon sign for Pearl Diner (Manhattan). Photograph by Paul Shaw 2006. The R in Il Grottino’s sign is a casual script. The oversized bowl is its most obvious feature. But the stroke overshooting the stem and the gracefully curved leg are what give the letter its energy and kickiness. Seen from behind it is a lovely abstract shape. And the peeling paint adds to its beauty.